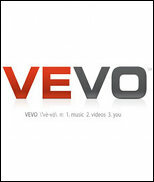 NEW YORK (Hypebot) — Music video service Vevo released a quarterly report this morning demonstrating user trends for their music videos, spanning from April – June 2012. The numbers are indeed impressive and include 3 billion video streams worldwide each month. Mobile is quickly on the rise for the service and during the second quarter of 2012, the service saw more than 1.3 billion streams from mobile devices and grew its monthly mobile active user base by 33% to 5 million people. The company has also seen 18 million downloads so far of its smartphone and tablet apps, according to the data. During the second quarter of 2012, Vevo saw an average of 429 million monthly viewers representing a 5% increase from the same time period last year. Monthly video streams also increased from last year by 9.6%, averaging 3.2 billion streams. Not surprisingly, mobile continues to be Vevo’s fastest growing platform with 18 million mobile and tablet apps downloaded to date (up 146% from the same time period last year), with Vevo’s most popular mobile platform being iOS. The company has said that mobile traffic was up 463% year-over-year, and that mobile traffic nearly doubled between the first and second quarter of this year. 450 million mobile video streams were accounted for in June alone, and mobile users are also now watching an average of 15 videos each month, according to the data. Over the past year, Vevo claims 40 billion music videos were watched globally, but with only a relatively small percentage coming from the U.S. at 9.3 billion views. The company continues to see accelerated viewership growth by employing the use of dedicated apps for mobile devices for iPhone, iPad, Android, Windows Phone 7, and BlackBerry Playbook. The service also works form within mobile web browsers. The top music videos during the second quarter of 2012 were Carly Rae Jepsen’s “Call Me Maybe” with 125 million views, Justin Bieber's "Boyfriend" with 98 million, One Direction's "What Makes You Beautiful" with 94 million, Jennifer Lopez's "Dance Again" with 87 million, and Rihanna's "Where Have You Been" with 72 million.